Marilyn Brant is a New York Times & USA Today bestselling author of contemporary women’s fiction, romantic comedy & mystery. Her debut novel won the Romance Writers of America’s prestigious Golden Heart® Award (2007), and she was named the Author of the Year (2013) by the Illinois Association of Teachers of English. She loves all things Jane Austen, has a passion for Sherlock Holmes, is a travel addict and a music junkie, and lives on chocolate and gelato. Marilyn Brant has been told she writes with honesty, liveliness and wit (descriptors she’s grown terribly fond of) about complex, intelligent women — like her friends — and their significant personal relationships. Although her favorite pursuits undoubtedly involve books, she proves she’s not just a literary snob by confessing her lifelong fascination (read: obsession) with popular music, especially from the ’70s & ’80s, most flavors of ice cream, and a variety of sensuous body lotions/oils. Her family believes she’s lost unquantifiable hours to the allure of “Tasty” videos on Facebook, but she refuses to substantiate this claim. Marilyn is a New York Times and USA Today bestselling author of twenty novels and novellas to date. 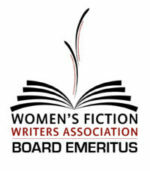 In the genre of women’s fiction, she’s written ACCORDING TO JANE (2009), FRIDAY MORNINGS AT NINE (2010), and A SUMMER IN EUROPE (2011), all originally published by Kensington Books. She’s also a #1 Kindle and #1 Nook bestseller and has written a series of fun and flirty contemporary romantic comedies, like those in THE SWEET TEMPTATIONS COLLECTION. In addition to the USA Today & the New York Times bestseller lists, several of her romances have hit Barnes & Noble’s and Amazon’s Top 100 bestseller lists and were International Digital Awards finalists. Her coming-of-age romantic mystery, THE ROAD TO YOU, was a Top 100 B&N Bestseller, as well as one of The Reading Frenzy’s picks for The Best Novels of 2013. She contributed the novella ALL ABOUT US to a new-adult romance anthology, released a pair of sweet Austen-inspired romances (PRIDE, PREJUDICE AND THE PERFECT MATCH and PRIDE, PREJUDICE AND THE PERFECT BET), and published an essay collection on motherhood called WANDERLUST IN SUBURBIA. Her latest contemporary romances are the books in her now-completed “Mirabelle Harbor” series: TAKE A CHANCE ON ME, THE ONE THAT I WANT, YOU GIVE LOVE A BAD NAME, STRANGER ON THE SHORE, ONE NIGHT LOVE AFFAIR and COMING HOME: A Mirabelle Harbor Duet, as well as GOING FOR IT, a Mirabelle Harbor/Sapphire Falls crossover novella. Look for the audiobooks of several of her novels from Post Hypnotic Press, and her short story “When Life Imitates Art,” included in RWA’s romance anthology, SECOND CHANCES (September 2017). As a former teacher, library staff member, freelance magazine writer, and national book reviewer, Marilyn has spent much of her life lost in literature. She’s been told — and not always with the intent to flatter — that she’s “insatiably curious” and “a travel addict.” She admits to combining these two passions by taking classes in foreign countries whenever possible and, consequently, she’s been able to learn lots of fascinating things in Australia, in England, in Italy, and in universities across the United States. She received her M.A. 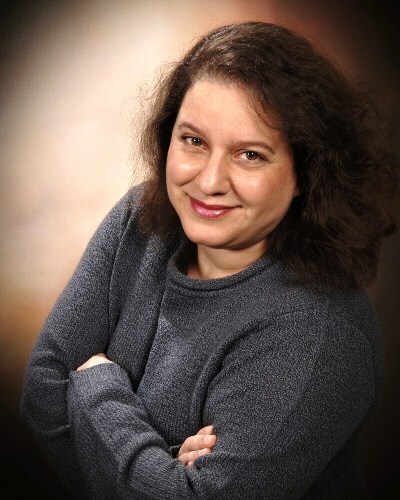 in educational psychology from Loyola University Chicago, dabbled in both fiction and art at Northwestern University, studied the works of Austen at Oxford University, and is a Life Member of the Jane Austen Society of North America. Her debut novel featuring “Jane” won RWA’s prestigious Golden Heart® Award (2007), in addition to the Booksellers’ Best and several other awards. In 2010, Buzzle.com named it one of the 100 Best Romance Novels of All Time. Her second novel was a Doubleday Book Club and Book-of-the-Month Club Featured Alternate Selection. And her third women’s fiction book was featured by the Literary Guild and the BOMC2, as well as by the Rhapsody Book Club, where it was a Top 20 bestselling title in “Fiction & Literature.” It was translated into Polish in June 2013. 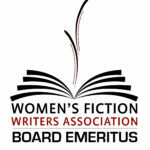 She’s a founding member of the Women’s Fiction Writers Association and is also part of Romance Writers of America and the International Thriller Writers. 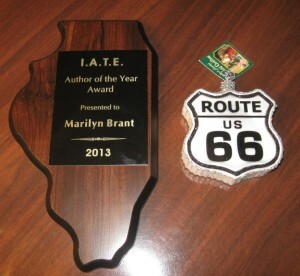 She was named the 2013 Author of the Year by the Illinois Association of Teachers of English. Marilyn has traveled to 46 states and over 30 countries (so far! ), but she now lives in the Chicago suburbs with her family. When she isn’t rereading Jane’s books or enjoying the latest releases by her writer friends, she’s working on her next novel, eating chocolate indiscriminately, and hiding from the laundry.